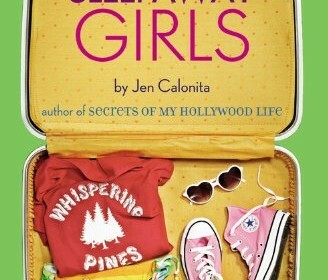 Sleepaway Girls by Jen Calonita is about a girl, named Sam Montgomery who does not want to spend the summer with her best friends new power couple “Malomark”. Sam decides to become independent and makes a decision to go to summer camp. She meets new friends and even develops a crush on her friend Cole. Sam’s enemy, Ashley is bratty, stuck up, and rude. Ashley, tells Cole that Sam kissed another guy named Hunter, who has been torturing Cole all summer. Cole gets very upset because Sam has been denying the accusation of liking Hunter. Her “supposed-to-be” perfect summer ends up being filled with bratty girls, love, and new friendships. Sleepaway Girls is a book filled with interesting characters and a great plot. The characters in Sleepaway Girls all have very interesting personalities. One character I connected with was Ashley. She thinks she can get away with anything since her dad owns the camp. The reason I like her is because at one point in the story Ashley and Sam are cleaning up a food fight and Ashley explains why she acts so disrespectful. She says she feels like she is living in her sister, Alexis’s shadow. Alexis is the head counselor and gets almost all the attention from their dad. I enjoyed how eventually she becomes a better person and learns to say her emotions instead of taking them out on someone else. Another character I connected with was Sam. I thought Sam was a great character because she was shy in the beginning of the book and then became very outgoing. For example in the beginning of the book she was scared to stick up to Ashley, but in the end she did not have a problem sticking up to her. Sleepaway Girls also has a fast moving plot. When the story moves from one piece of drama to the next it moves smoothly and is not confusing. For example, towards the end of the book there is a lot of events, but the author keeps the story moving and makes sure the readers are aware of what is going on. I recommend this book to anyone who is looking for a fabulous plot and descriptive characters.